Brandon Hoe as designed a new smartphone photography system called the Helium Core, which has been specifically designed to provide the “basic building blocks for iPhoneography”. 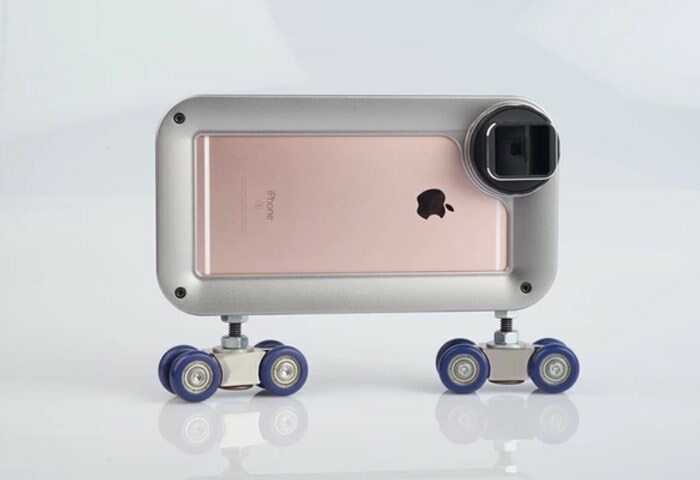 Allowing smartphone photographers to use the iPhone photographic case and chassis to connect a wide variety of different lenses and mounts depending on your photographic requirements at the time. Check out the video below to see just how versatile the Helium Core photography phone case is and the wide variety of different attachments that can be combined to suit almost any photography situation. Designer Hoe explains more about what you can expect from the design and smartphone photographic system. For more information on the new Helium Core jump over to the Kickstarter website for details and to make a pledge from just $99 to be one of the very first to own one, via the link below.